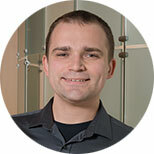 Nathan Sidles is a Full Stack Web Developer at the Institute for Health Metrics and Evaluation (IHME). IHME was established at the University of Washington in Seattle in 2007. Its mission is to improve health through better health evidence.